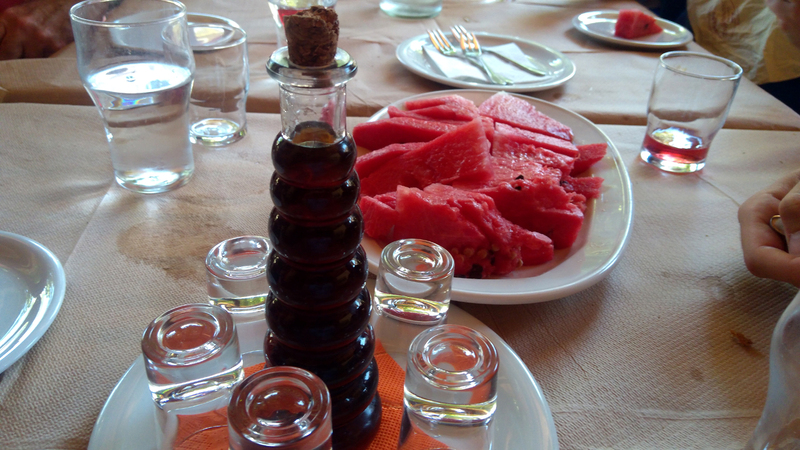 Have the real Greek experience! 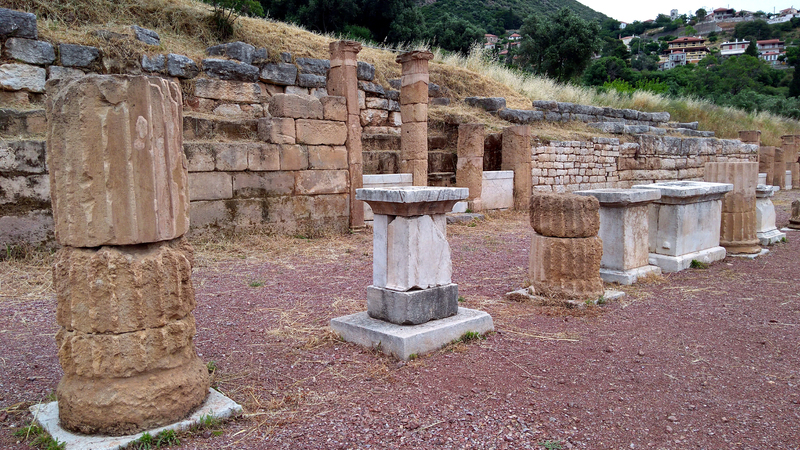 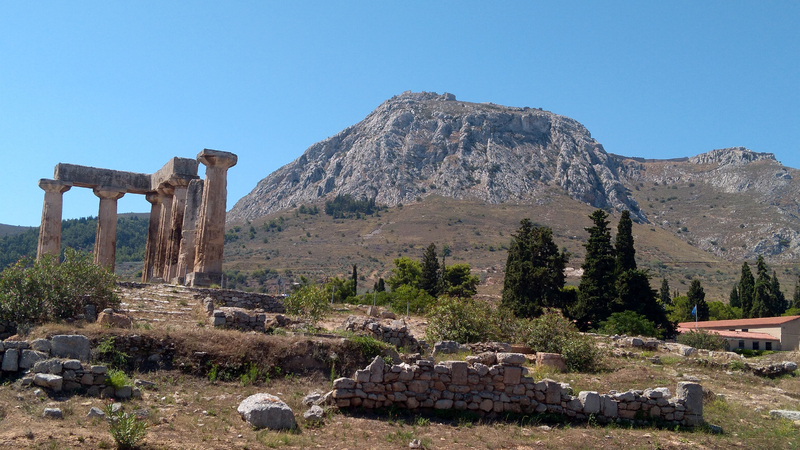 Join this totally private tour and experience the most important & beautiful region of Greece; the mythical Peloponnese. 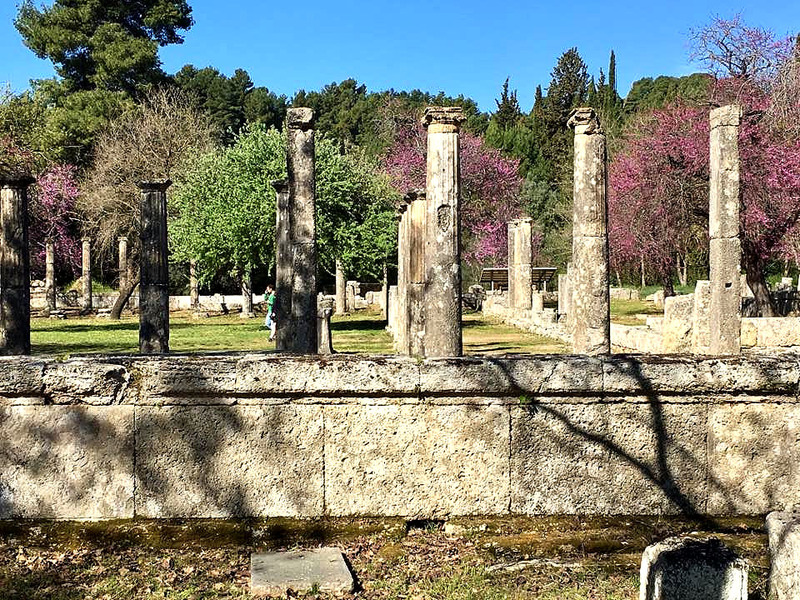 Leave noisy-touristy Athens behind and enjoy this 5-full-days, touring totally privately the best of the Peloponnese sites the way locals only do. 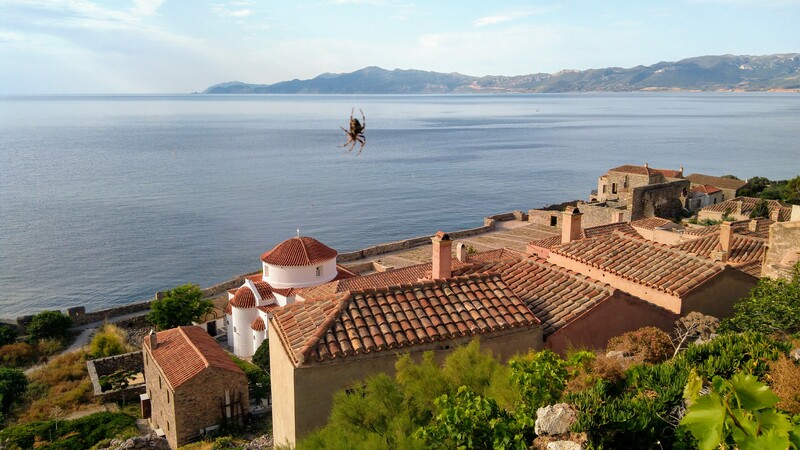 Experience the beauty of Mythical Peloponnese, the food and the people, by exploring some Unesco sites and unique authentic locations. 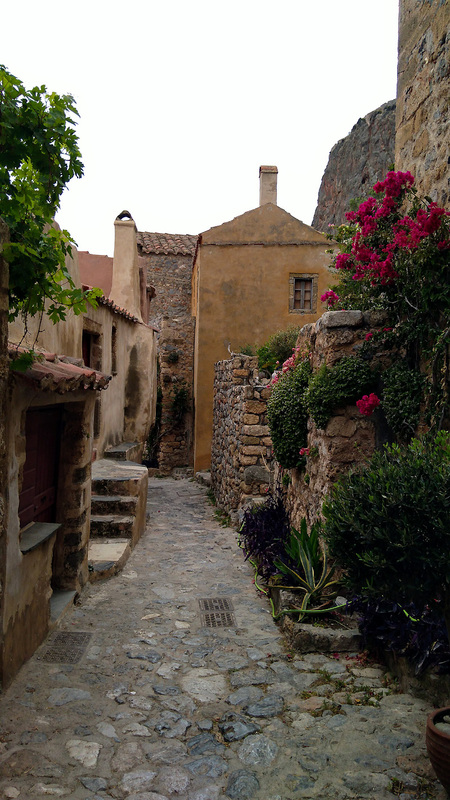 • Monemvasia – a medieval castle town located on a small island linked to the mainland by a short causeway. 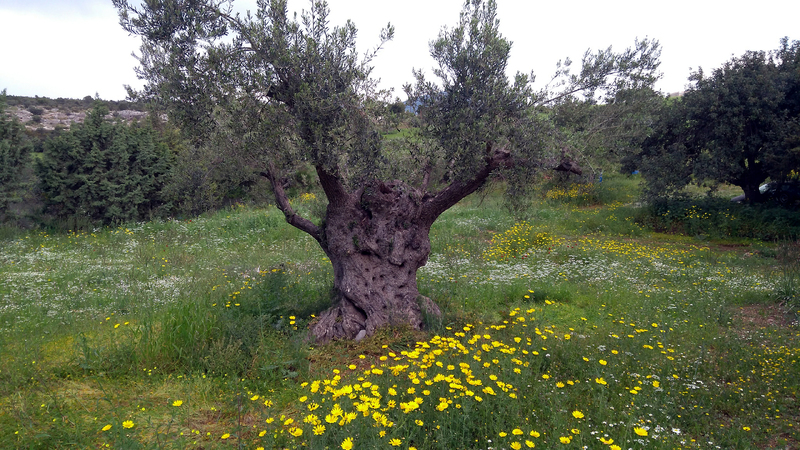 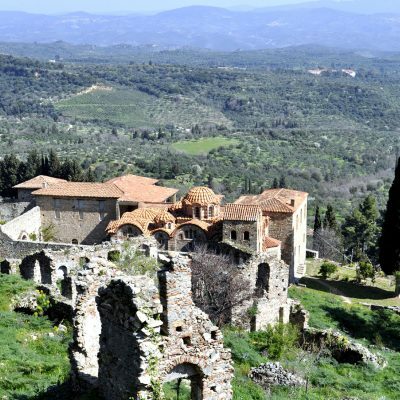 Ideal tour for those looking to visit some amazing sites without wasting time driving in & out of Athens; but instead over night & enjoy beautiful, authentic “Greek” locations like Sparta & Mystras, Monemvasia, Nafplio town and Dimitsana village. 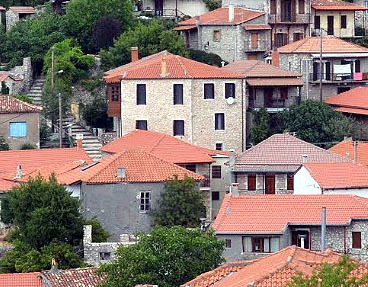 All with great accommodation that you can’t experience in the big cities. 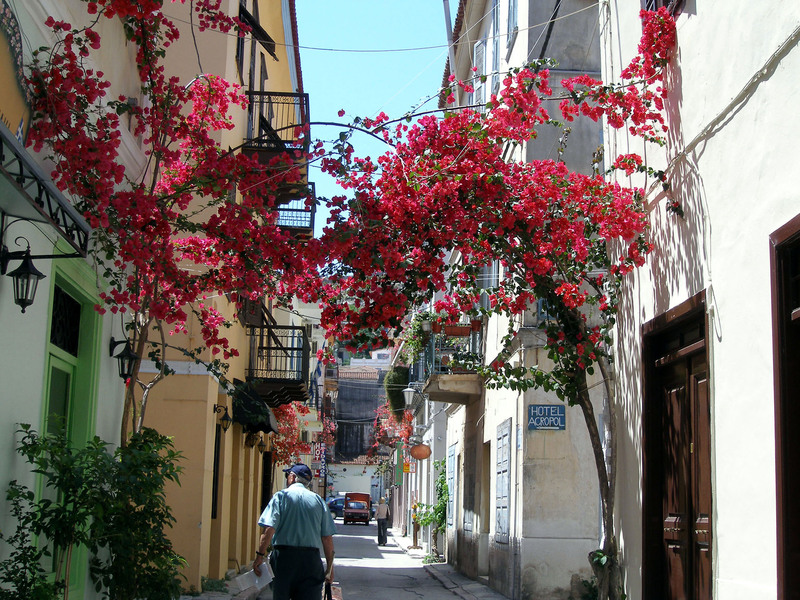 Day1: So, meet your private driver/guide for your 8:00 a.m. departure. 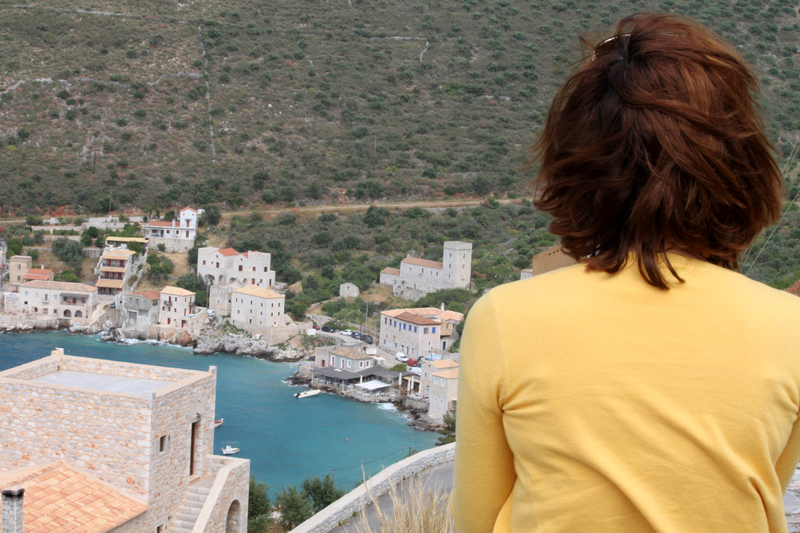 In a short trip of no more than 2 1/2 hours you arrive at the center of Peloponnese for this “real Greece” experience. 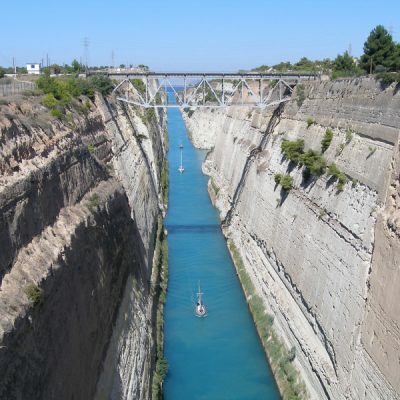 Corinth canal is the first stop and then on to DIMITSANA & STEMNITSA villages at 3,000 ft altitude. 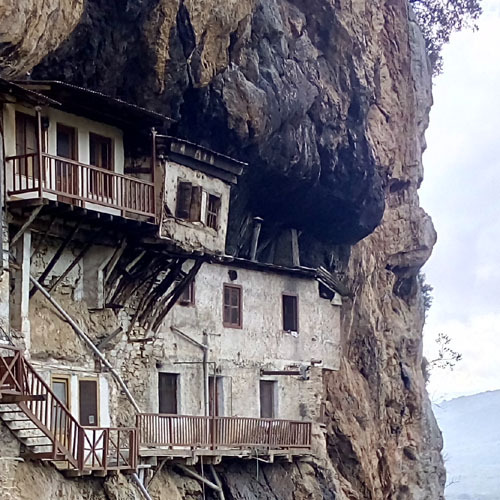 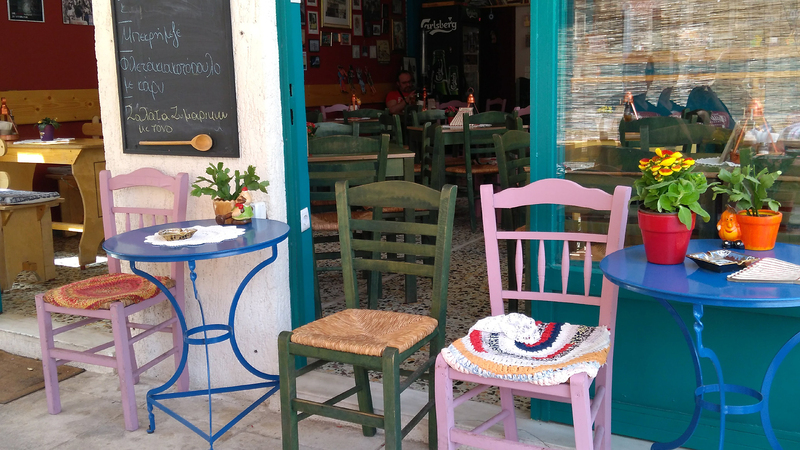 Explore the gorge, Lousios river, a couple of cliff hanging monasteries, the water powered Museum, ancient Gortys and then let you guide treat you to a typical Greek lunch in a non touristy location with the locals. 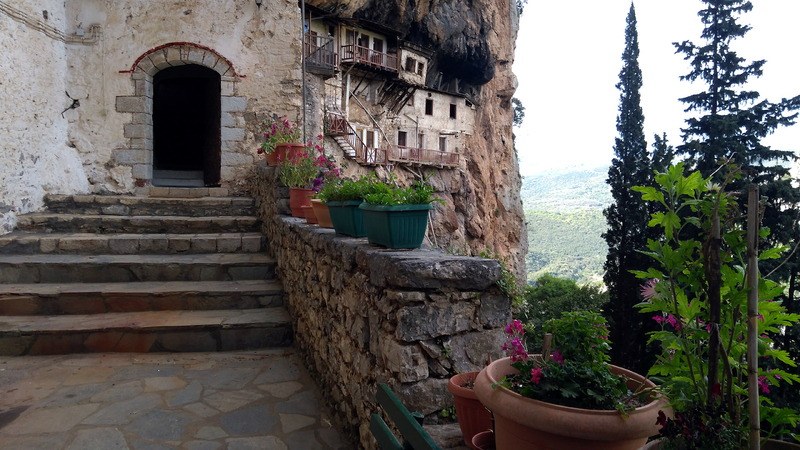 Relax in a great stone built guesthouse. 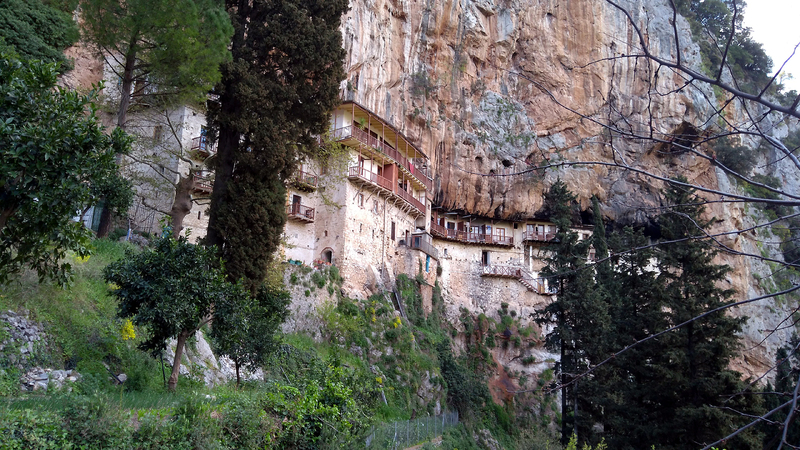 Day2: Start with breakfast in the mountain air and the view of Lousios gorge, before a 1h.20′ drive to ancient OLYMPIA past Lagadia, the home town of the best stone buiders. 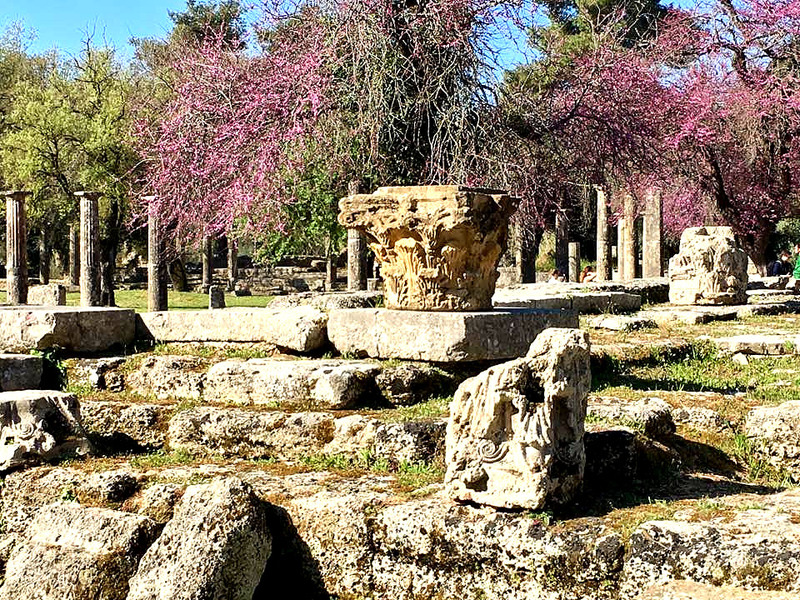 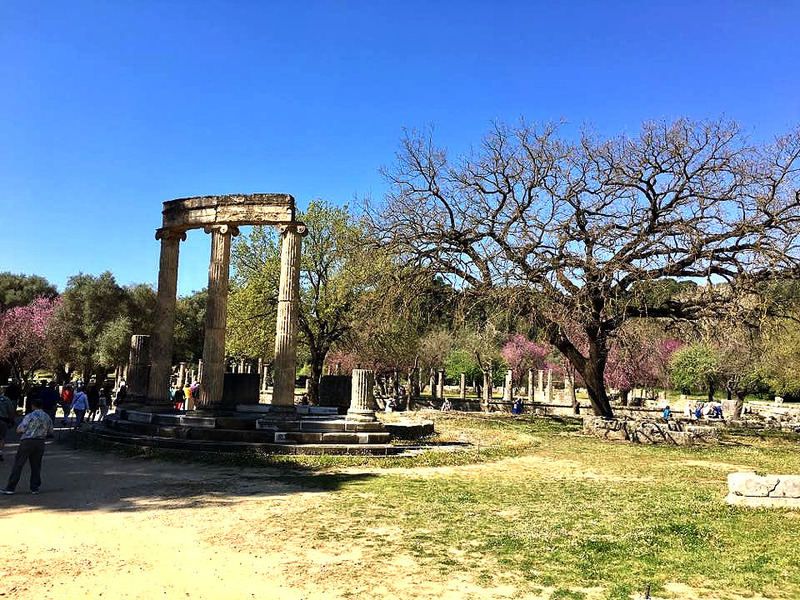 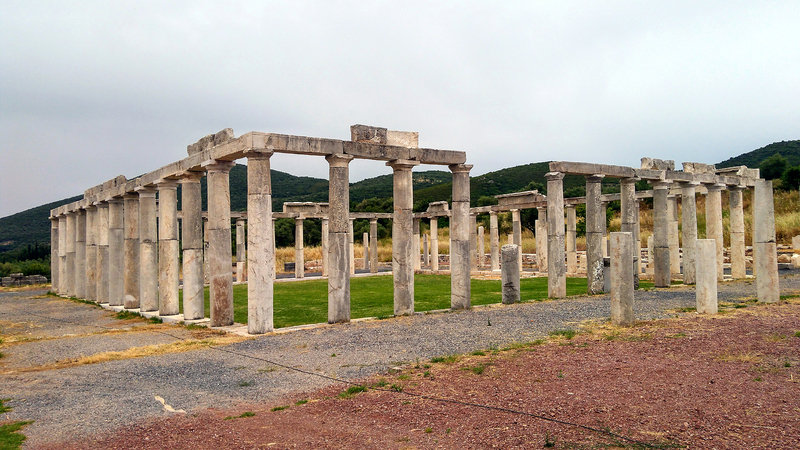 Walk though the impressive ruins of the area where athletes trained and run in the ancient stadium; just as ancient Olympians did after victory, 3,000 years ago. 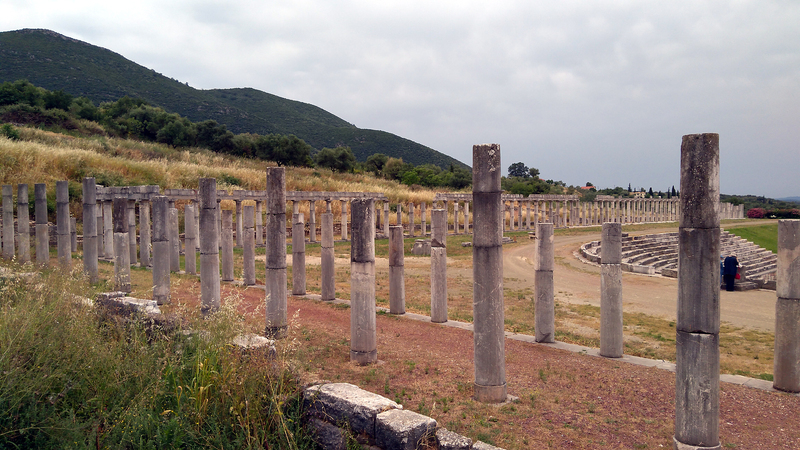 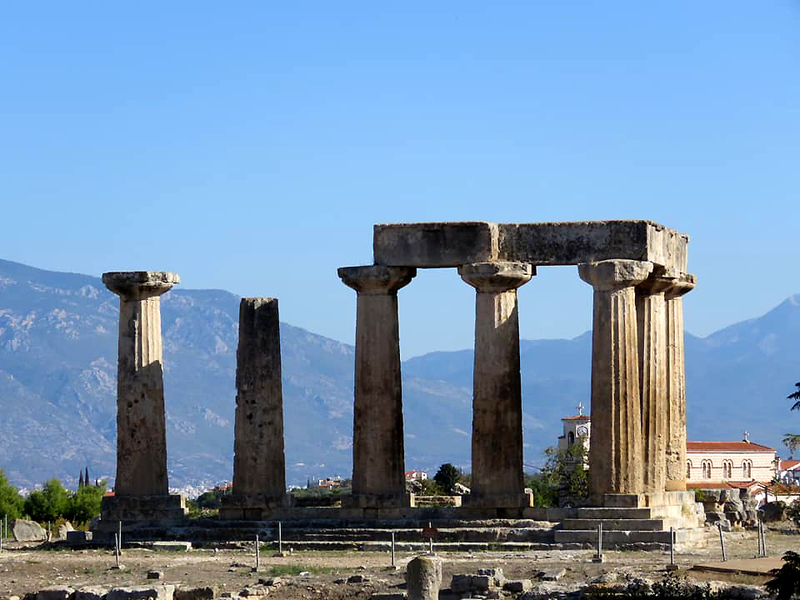 See the temple of Hera and some unbelievable sculptures such as the temple of Zeus and Hermes of Praxiteles before heading to Messene which is one of the most important cities of antiquity. 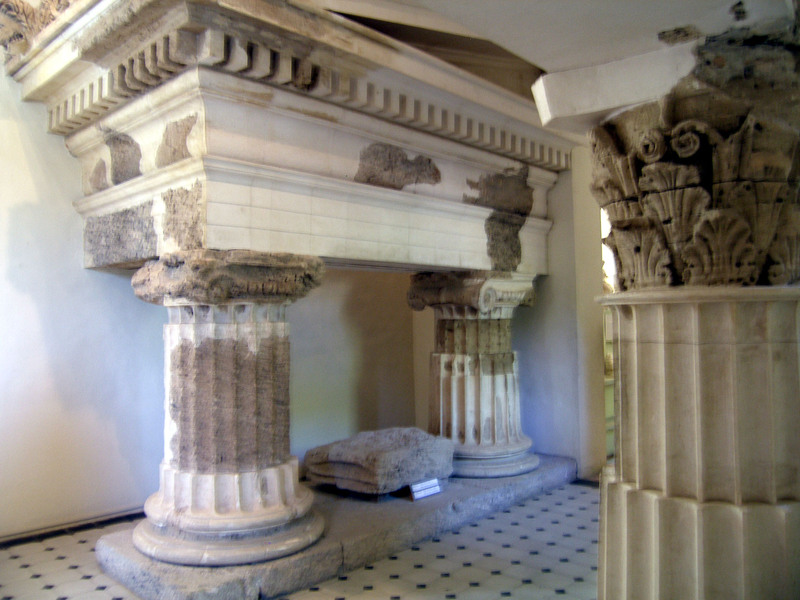 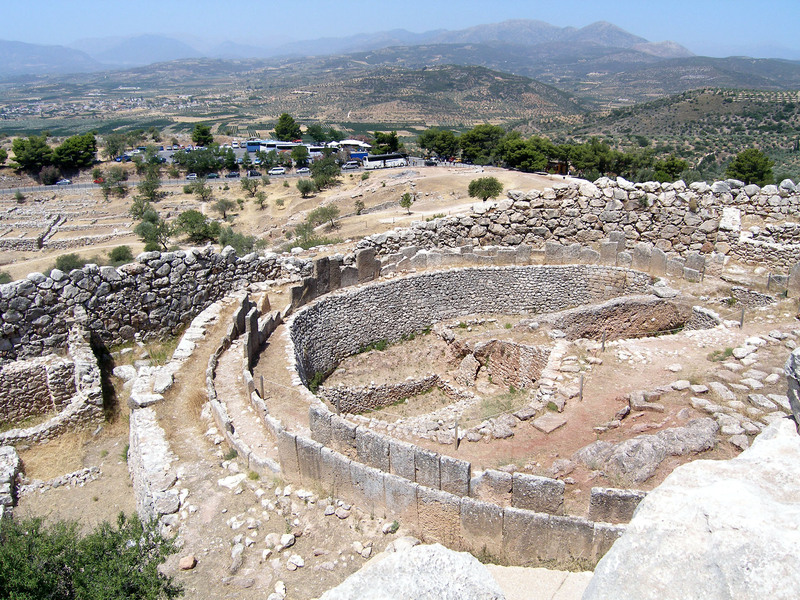 The city has the rare advantage of not having been destroyed or covered by later settlements. 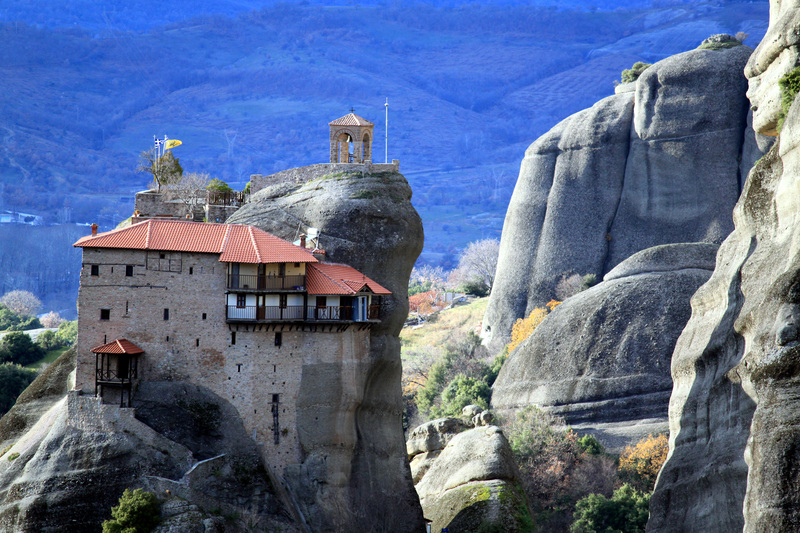 Ruins that have withstood the test of time and remain standing for travelers to marvel at. 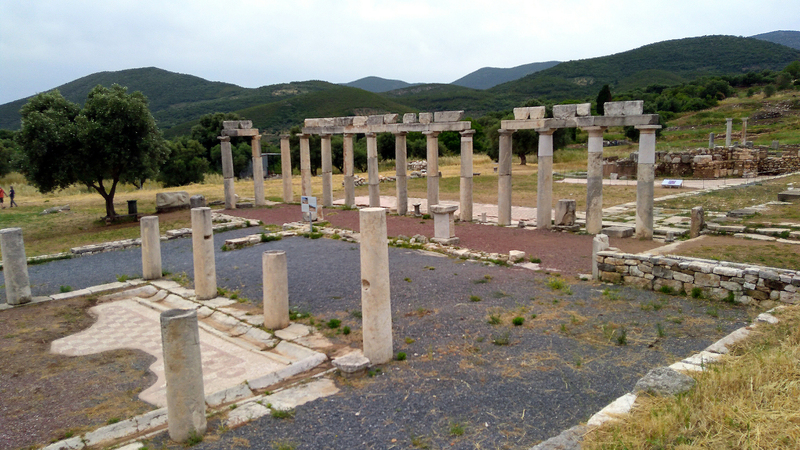 This landscape combines the mountainous majesty of Delphi and the lowland riverine tranquillity of Olympia. 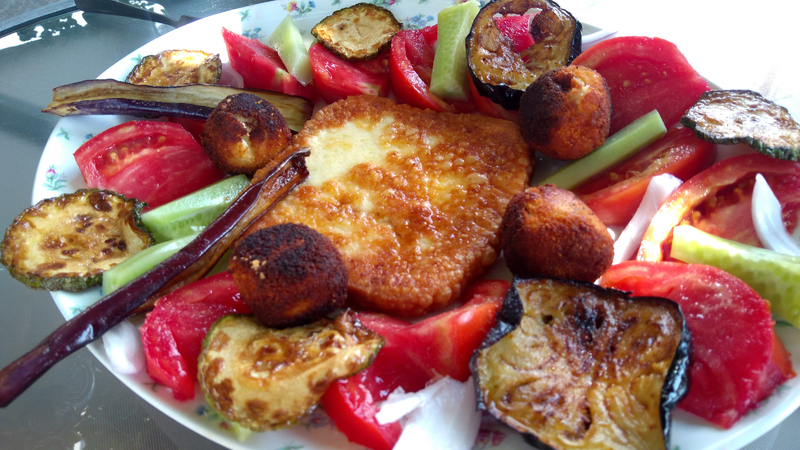 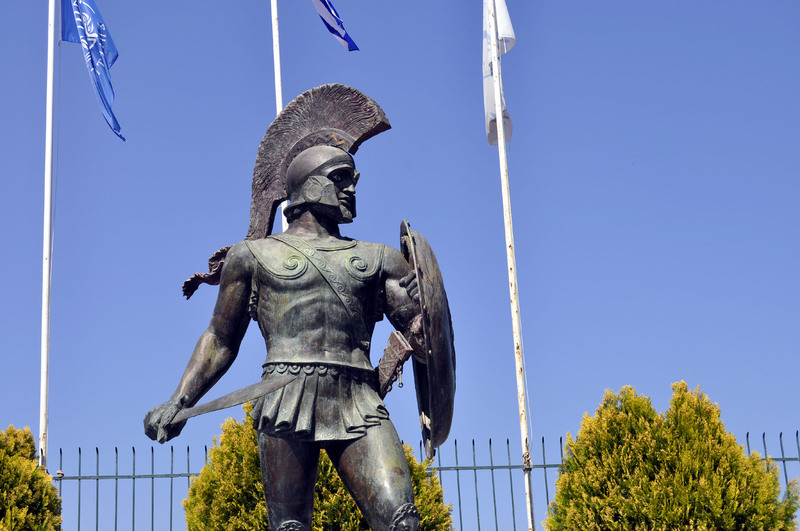 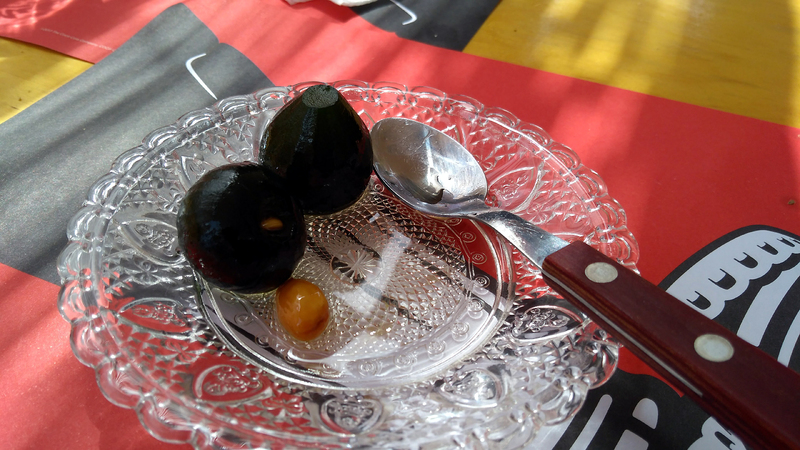 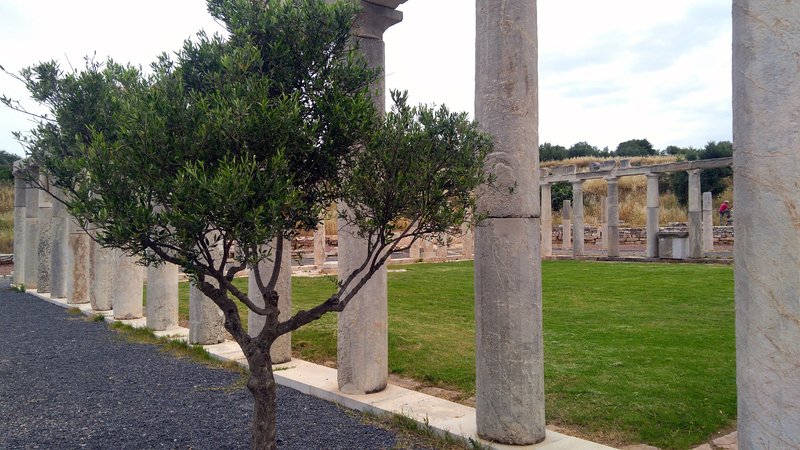 Lunch… and next is SPARTA the ancient rival of Athens known for her fierce warriors! 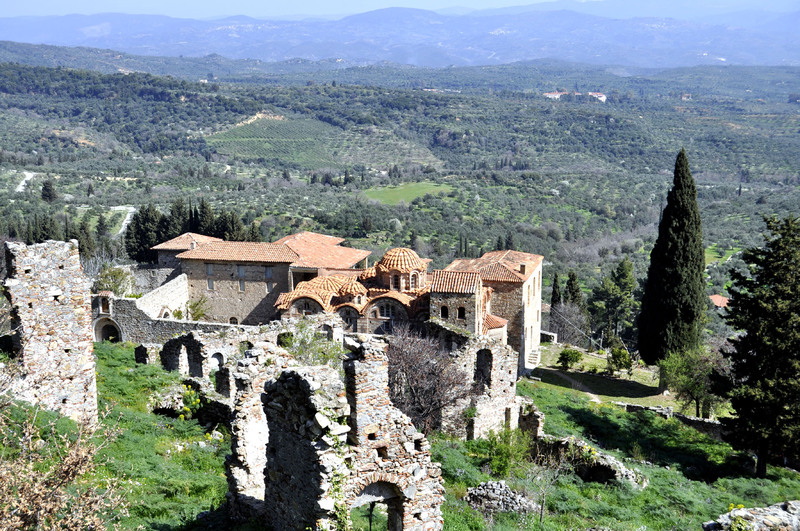 Wander around the byzantine castle-town of MYSTRAS. 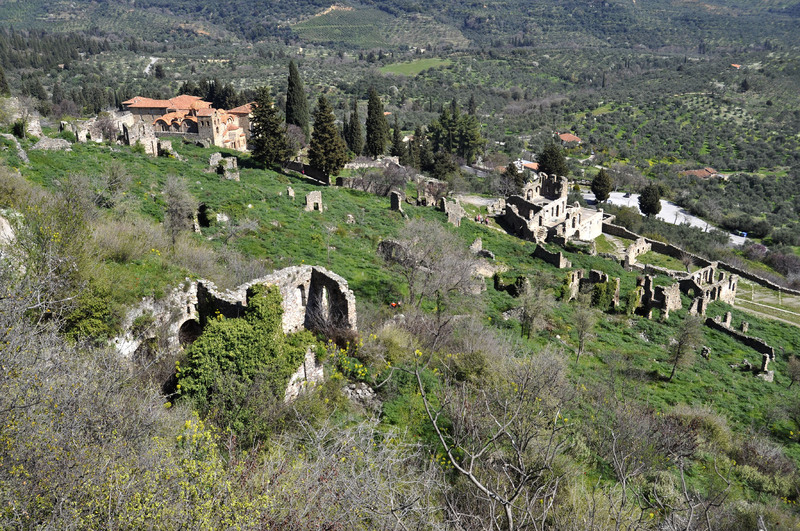 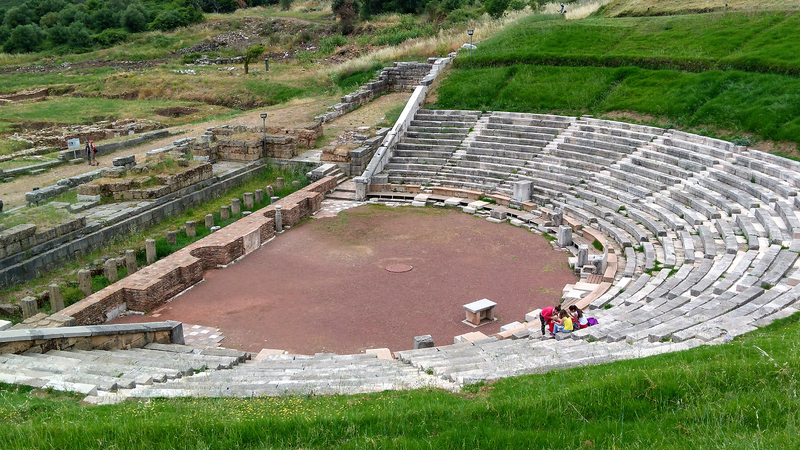 Overnight at lively Sparta or Mystras only 90 min from Mycenae. 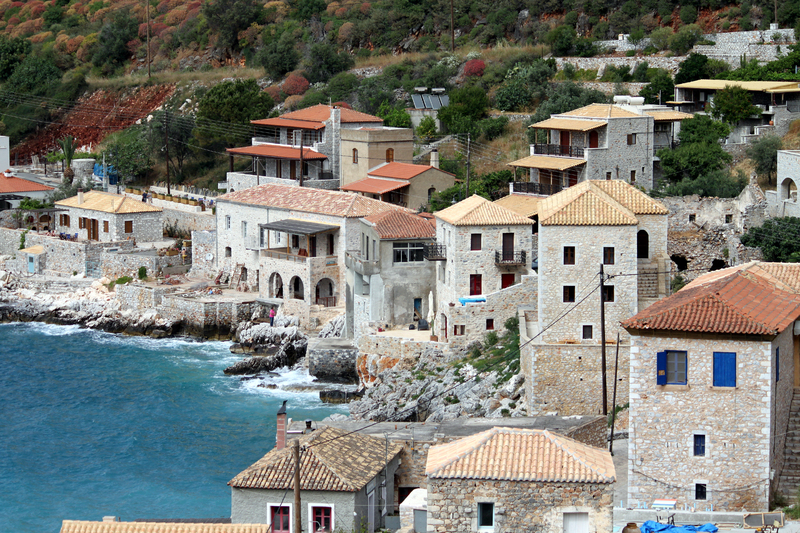 Day3: Leaving Sparta the obvious route is to Mani peninsula and the amazing DIROS caves that you will explore with a guide and a boat. 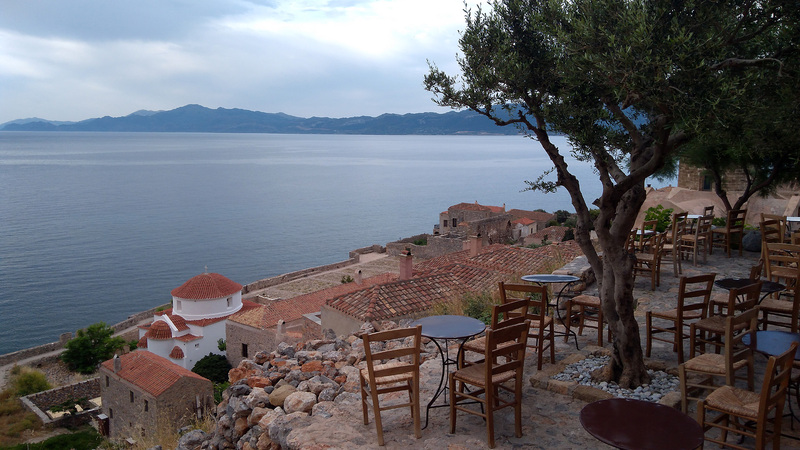 Next is the awesome Mani coastline with beautiful villages sush as Itilo, for lunch next to the sea. 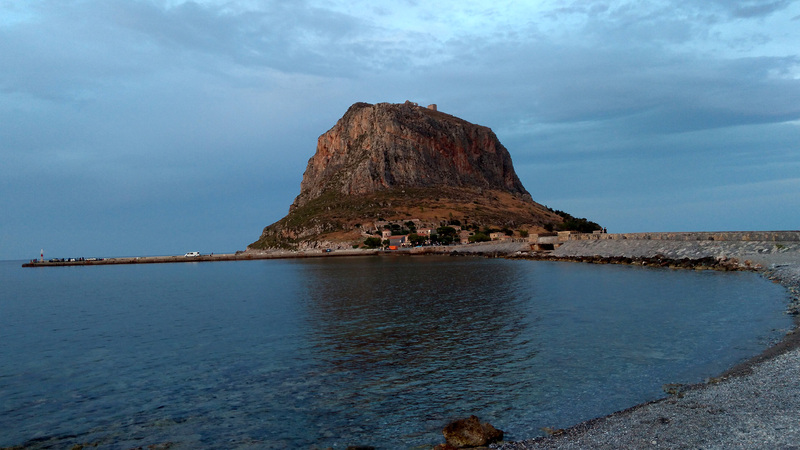 Next is MONEMVASIA town which is located on a small island linked to the mainland by a short causeway. 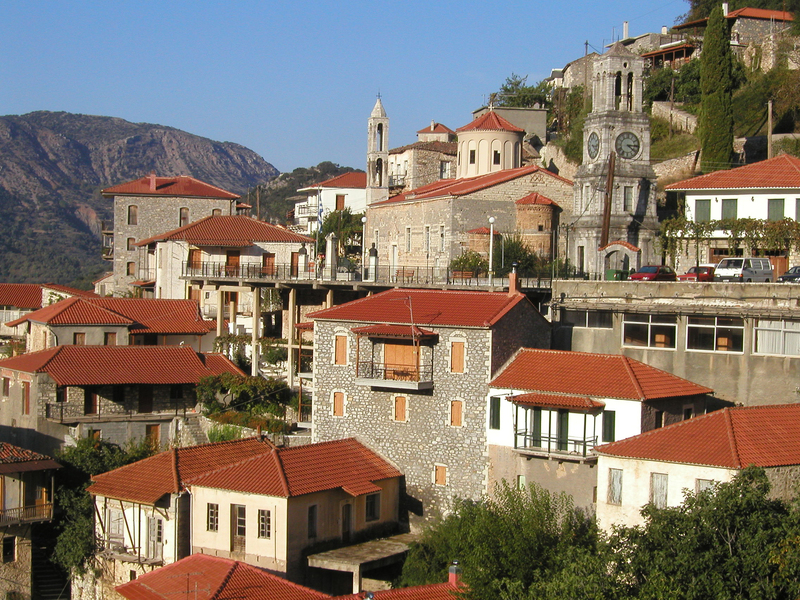 The town walls and many Byzantine churches remain from the medieval period. 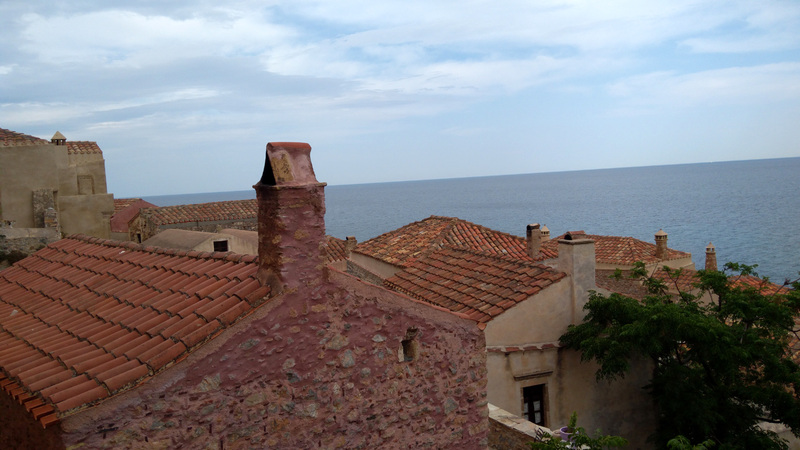 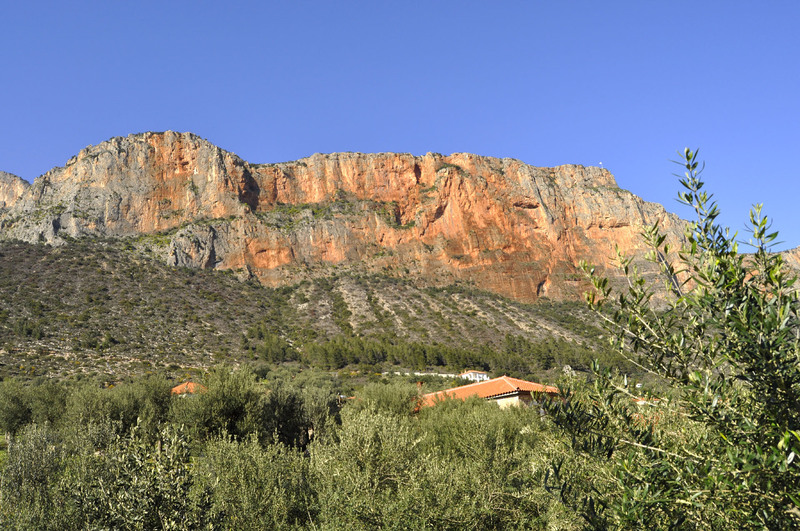 Day4: Enjoy the morning at Monemvasia before driving (1 hour) to the top of Parnon mountain in ARCADIA (lunch) and then to NAFPLIO town via the beautiful coastline. 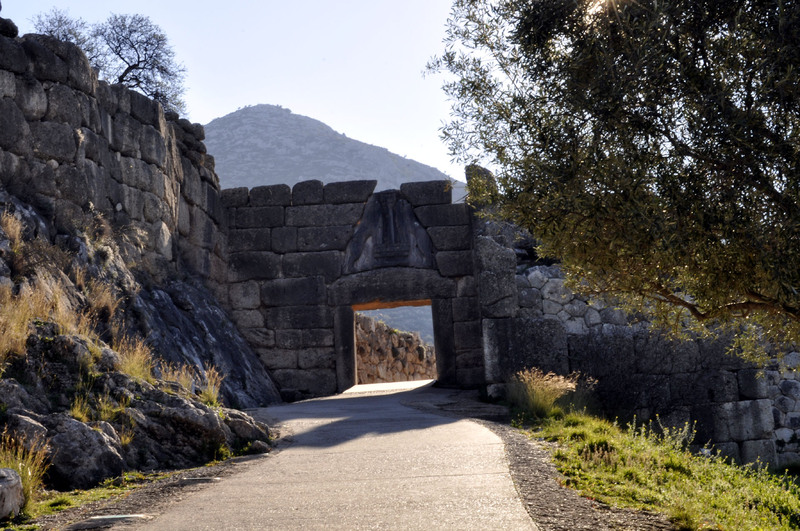 Day5: MYCENAE is home to some of Greece’s most famous ancient ruins. 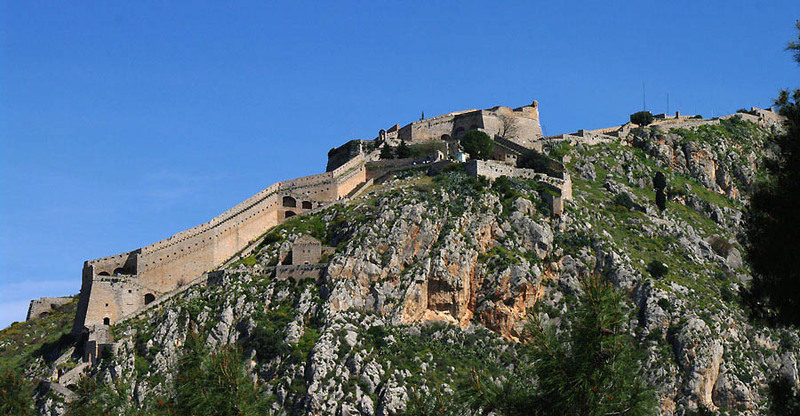 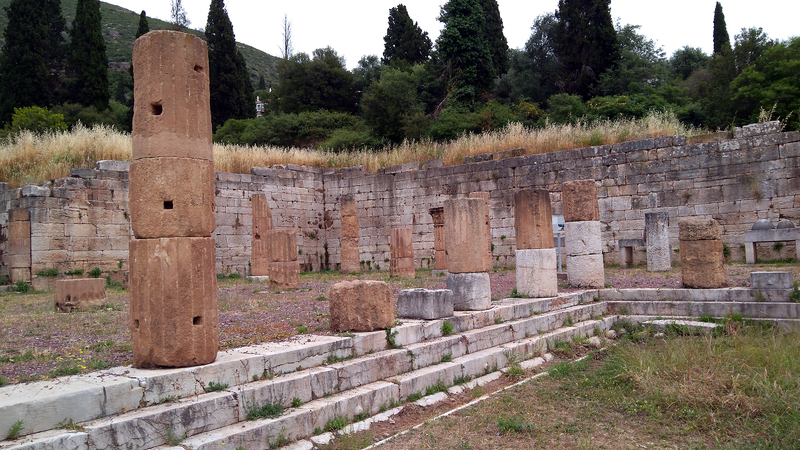 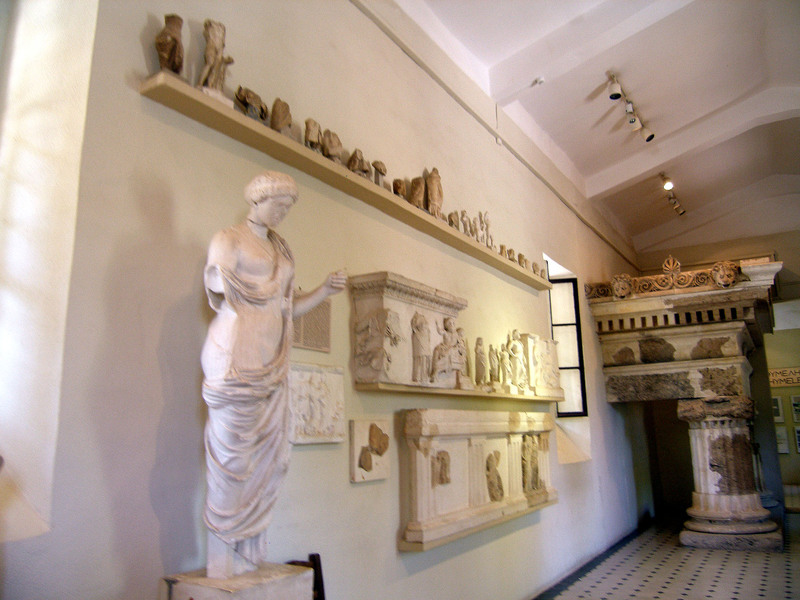 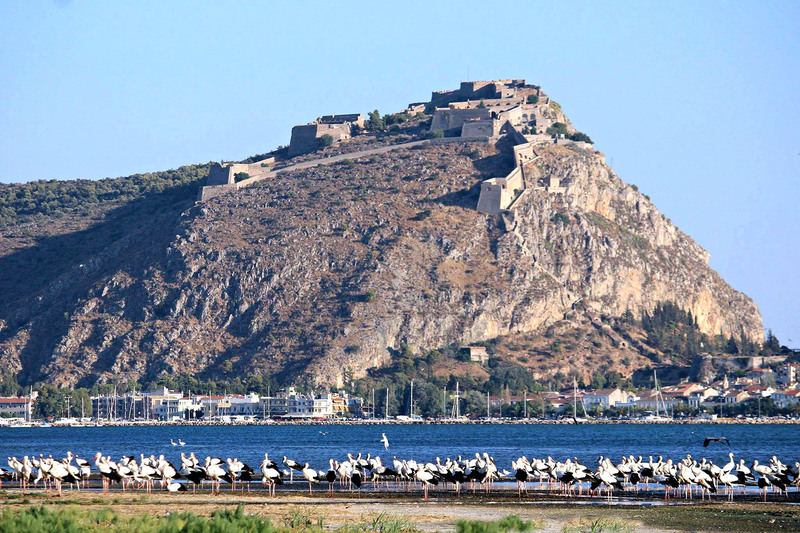 Wander around the site&museum before hopping back in the vehicle and exploring the “old town” of Nafplio, the famous Venetian fortress of Palamidi. 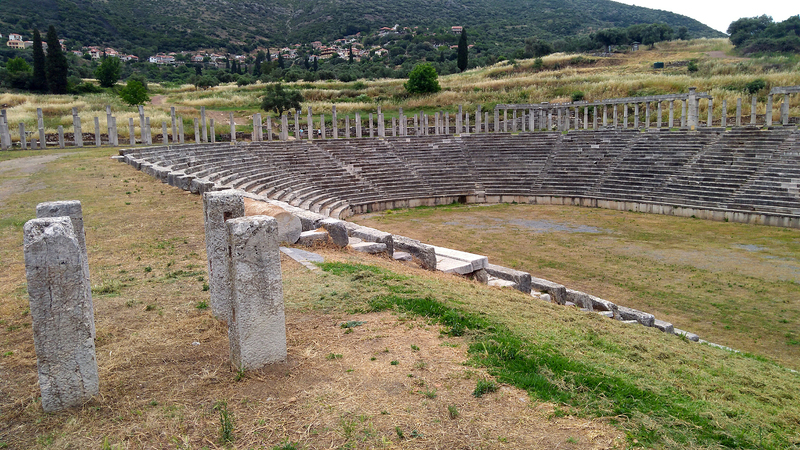 Then head to Epidaurus, home to an ancient, beautifully preserved theater. 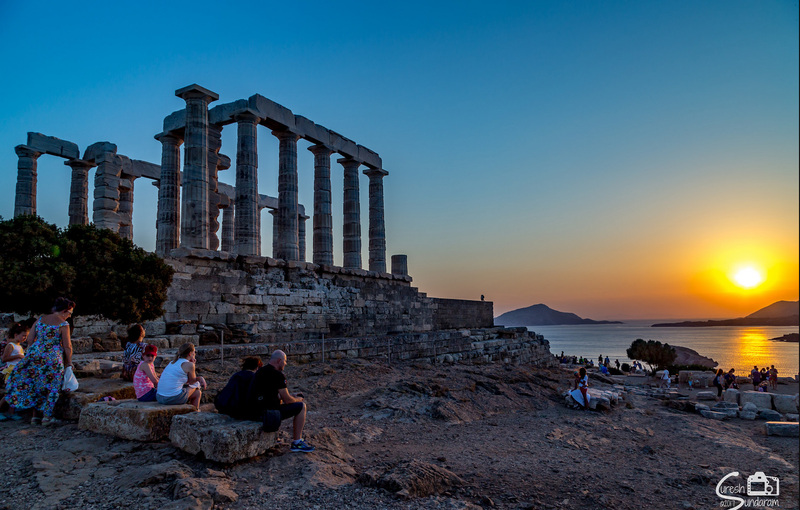 Once you’ve finished your explorations, return to your vehicle and head back to Athens in over 1 hour drive. 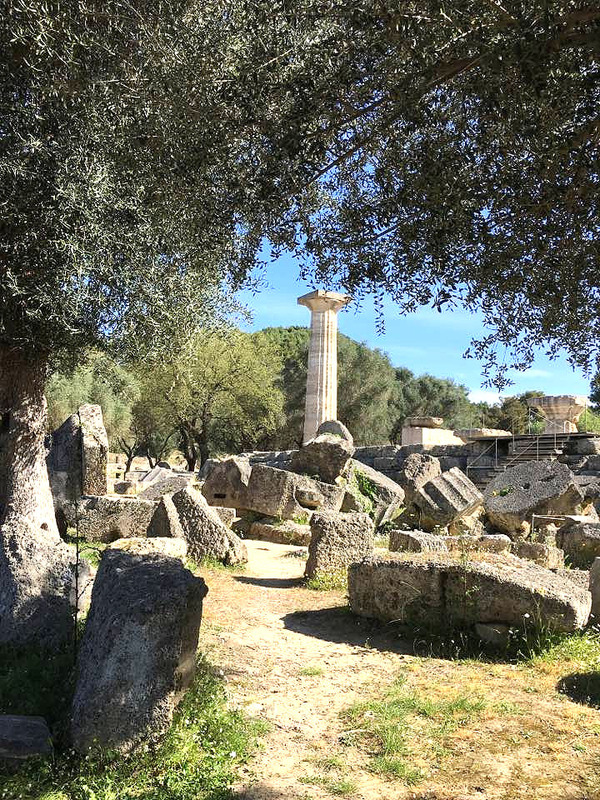 Expect a very flexible and personalized tour from this private tour operator, with lots of authentic experiences and great food. 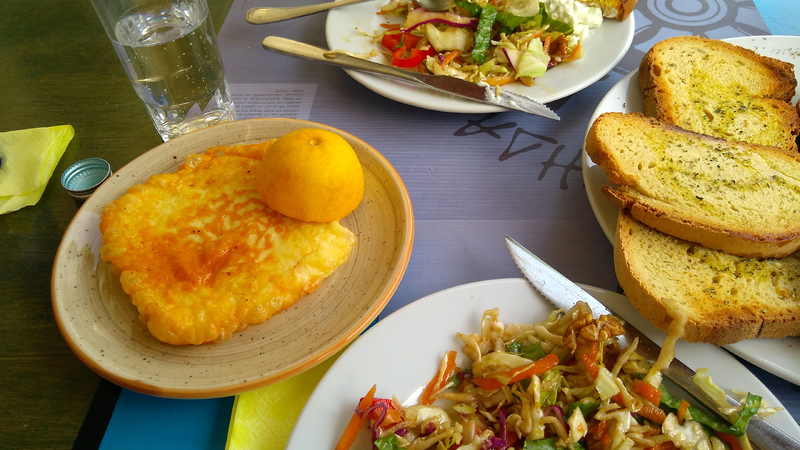 Lunch is also included on all 5 days and at selected locations. 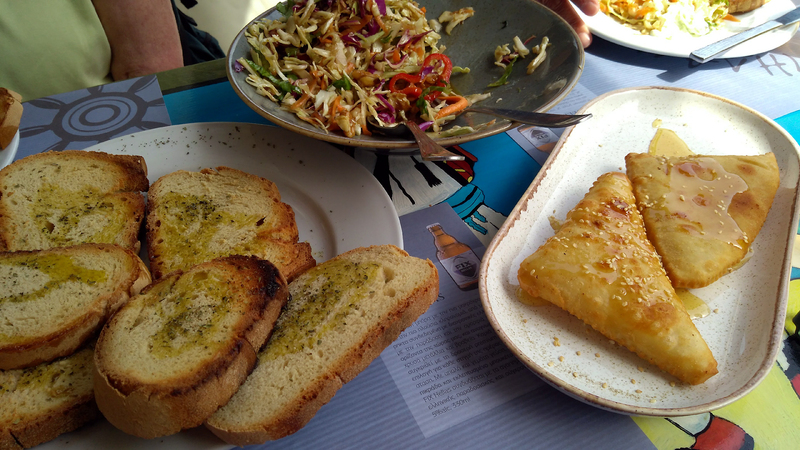 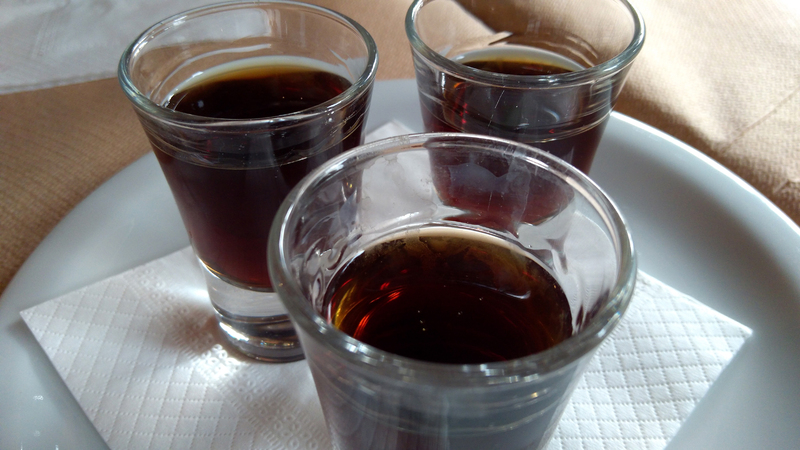 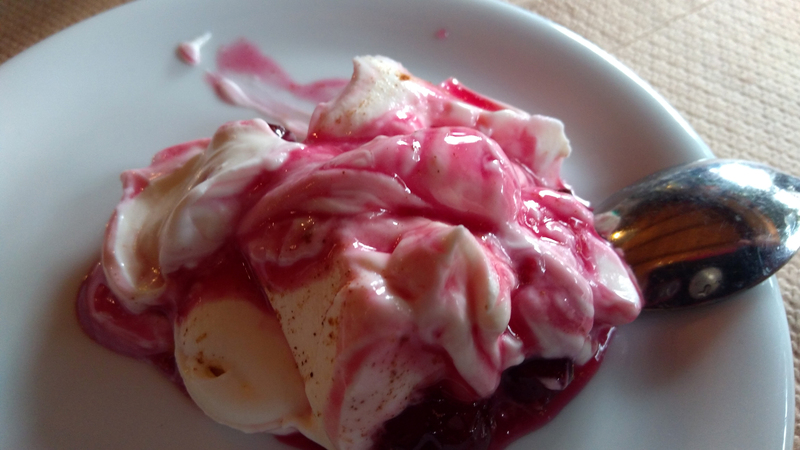 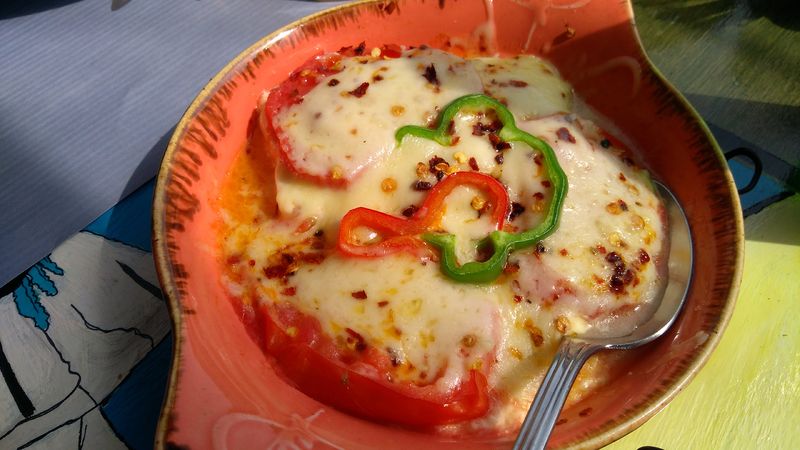 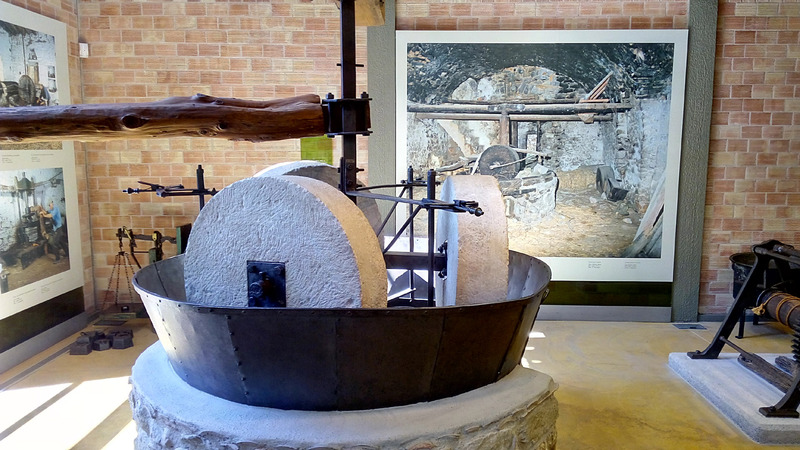 You might discover that this is a food tour that is included … within the tour! 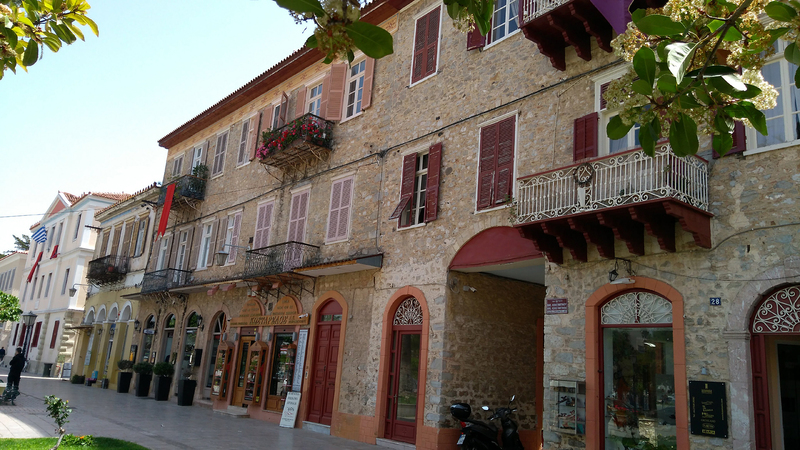 Shopping/touristy stops unless specifically required. 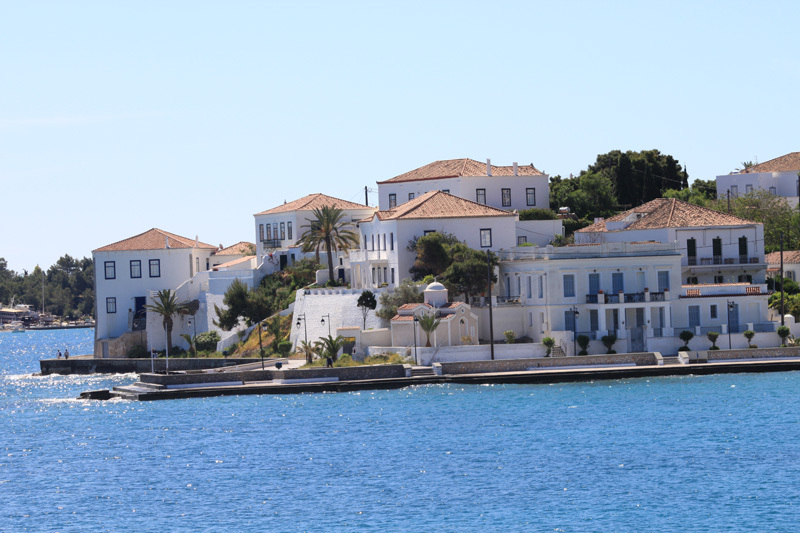 Total price for up to 2 persons is at €2,500. 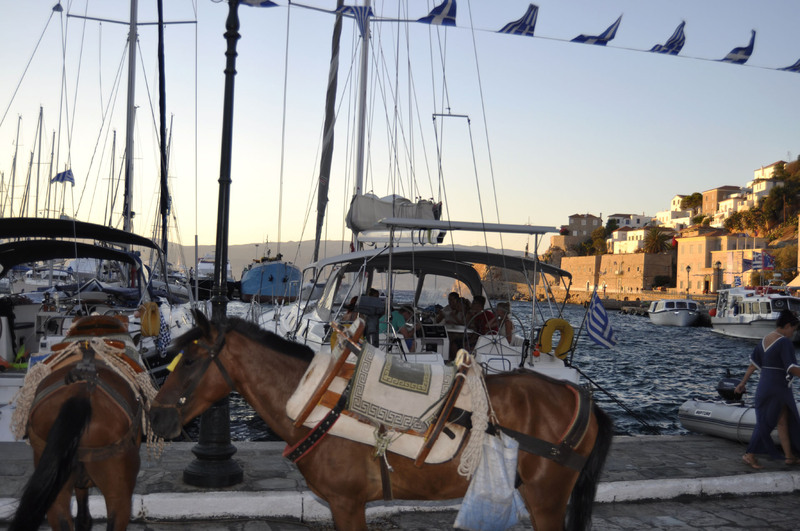 From your Athens hotel, cruise ship (Piraeus port), Nafplio or a pre arranged meeting point very near to your location. 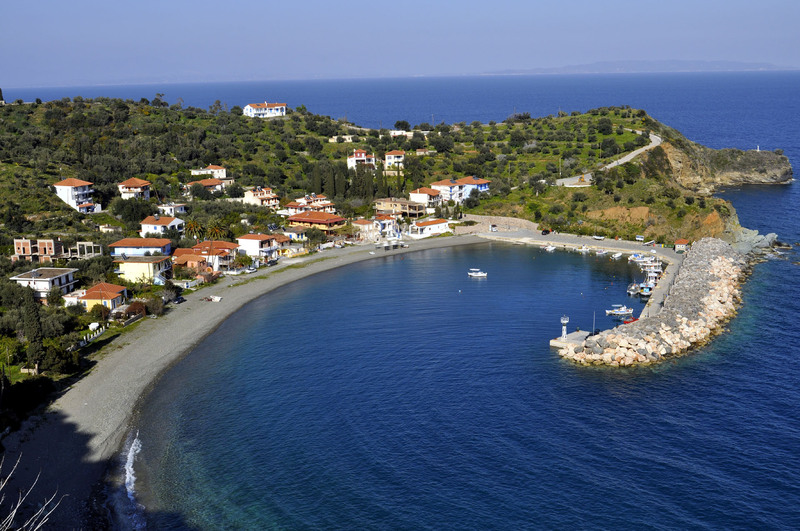 For other starting locations please contact us. 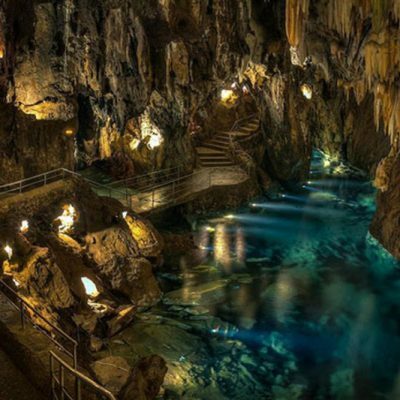 Due to uneven surfaces, this tour is not suitable for people with walking disabilities or using a wheelchair. 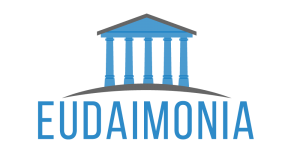 If in doubt, please contact us! 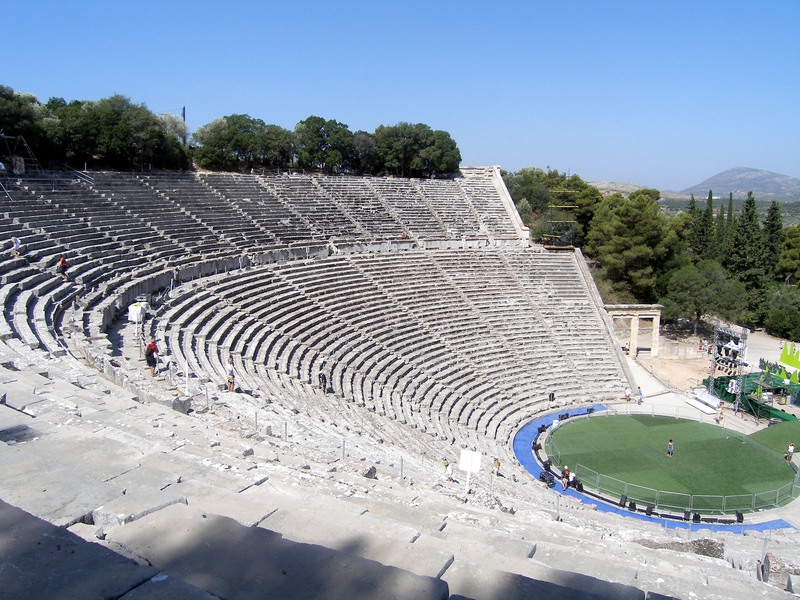 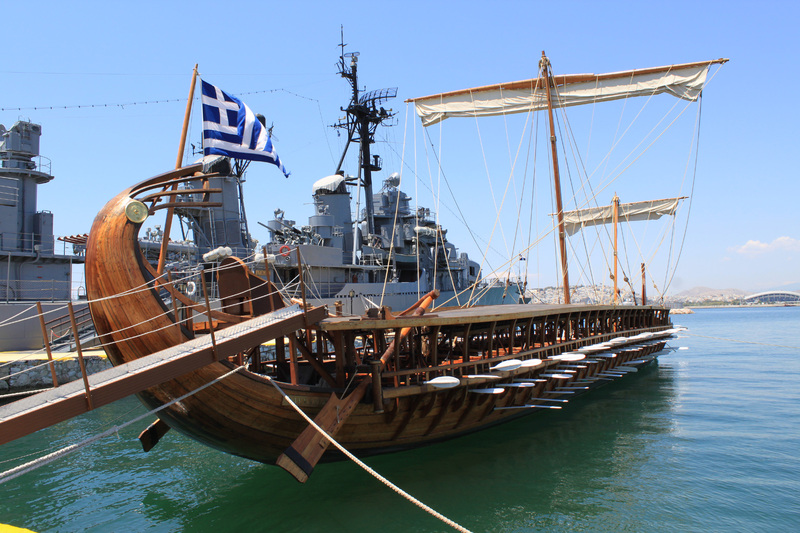 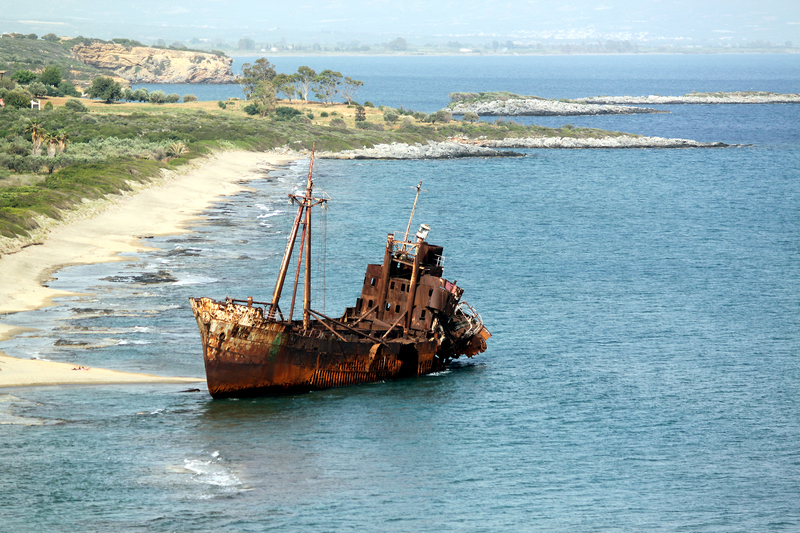 If canceled due to bad weather (remember this is Greece, so… almost impossible!) 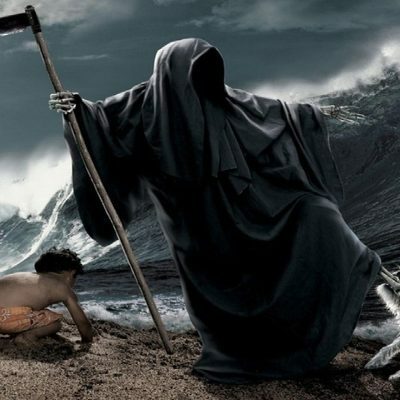 or any other extreme situation, you will be given the option of an alternative date or full refund.